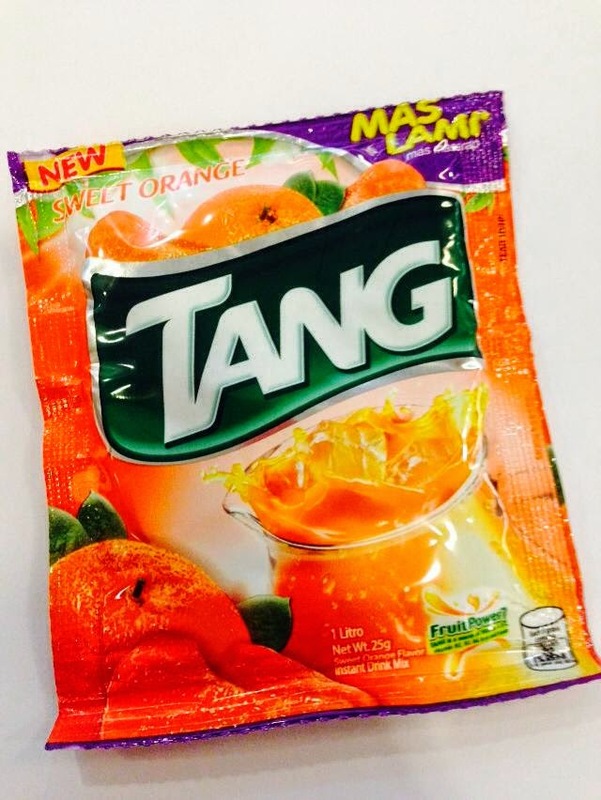 New Tang Sweet Orange: Timplang Ato! Midanaons are known to have a sweet tooth▬and as a Midanaon myself, I can confirm this. Pastries like piaya, pastel, yema, pastillas and fruits like mangosteen and durian are some of our favorite and popular pasalubong items. And this is why Tang created a new, sweet surprise for Mindanao▬especially for us!▬The Tang Sweet Orange. Tang has introduced a new sweet orange variant that is available only in Mindanao! This new flavor is "timplang ato" that surely make Mindanoans happy by using a "mas lami" blend created especially for the region. Tang's brand manager, Lawrence Lorico states "Tang Sweet Orange is preferred by 7 out of 10 Mindanaons." He also noted that in a study conducted by formerly Kraft, Mondelez Philippines, more moms and kids go for Tang Sweet Orange because of its overall taste, appearance and, of course, for its sweetness. Tang wants to celebrate Mindanaoans' strong sense of pride in their home region and for their preference in sweetness by creating the new Tang Sweet Orange just for them. Tang Sweet Orange is also Halal-certified and has Fruit Power 7, making the drink a good source of vitamins A (for eyesight), C (immune system), B2 & B6 (release energy), iron and folate (healthy blood development). Not only does Tang gives Mindanaons a new and sweeter flavor but they also ensures that it is quite healthy for kids and adults alike. Tang also introduced the newest member of the Tang family. The actor Gerald Anderson, who grew up in GenSan proudly introduced the newest Tang variant. While Anderson spent a few years growing up in the States, he moved back to the Philippines together with his family and considers General Santos City home. "I had many fun summer adventures here: playing basketball with my barkada, jumping on my trampoline and riding my motorcycle." recalls Gerald of his fond memories growing up in Mindanao. Gerald and his family enjoys home-cooked meals and drinking Tang. The launch of this new "Sweet Orange" flavor suits his Mindanao taste and for sure will make mealtimes even more enjoyable. "I think I like the new Tang flavor because it's just right for the taste I grew accustomed to," Anderson said "If yung mga Bicolano mahilig sa spicy, kami medyo may sweet tooth. Gusto namin matamis!"